Our Community group has worked with local charities since 2007. 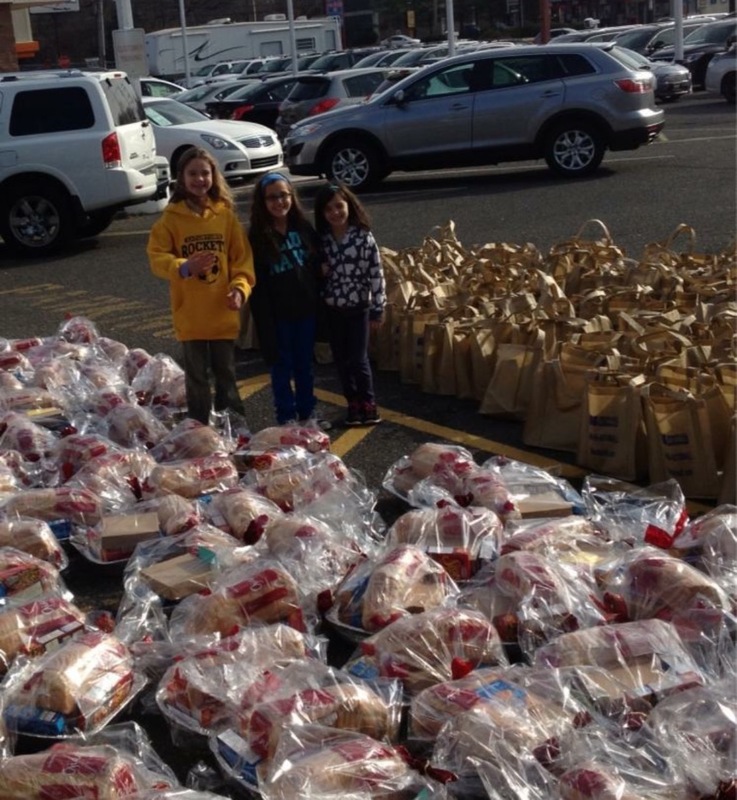 Together we have provided and delivered over 1,500 baskets of food to local families in need for Thanksgiving. We collect money, purchase a complete traditional meal including everything from the turkey to the pies and more. 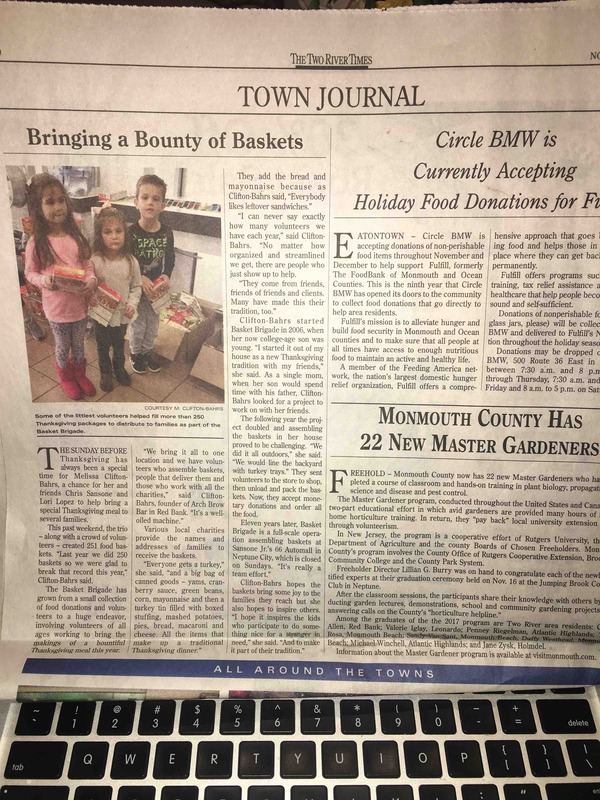 We assemble and wrap the baskets with bows in a fun family environment and then deliver the baskets anonymously throughout Monmouth County. It has become a favorite holiday tradition for all who volunteer and we cannot do it without your donation. Please help make this our best year ever and join us in spreading Hope, Inspiration, Gratitude and Joy. Baskets cost about $40.00. Any denomination is greatly appreciated. Deadline for donations Wednesday November 15, 2017. I hope everyone enjoyed a wonderful Thanksgiving. 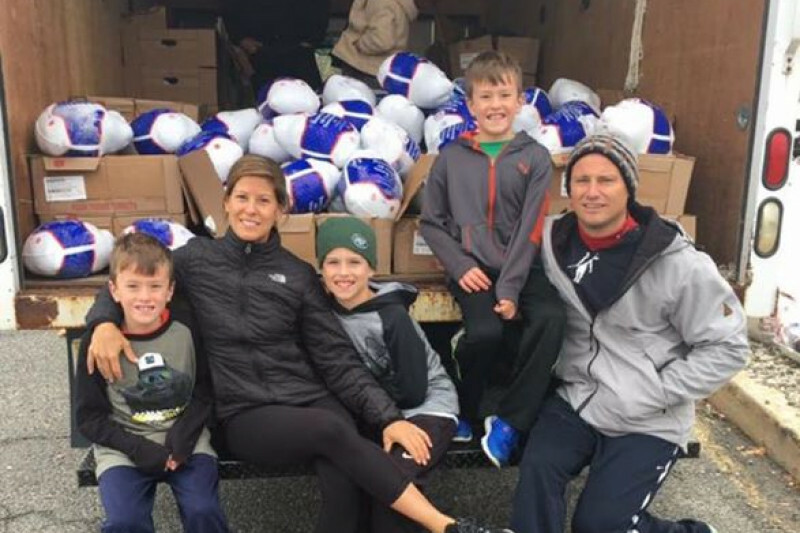 With your donations we were able to assemble and deliver 251 Traditional Thanksgiving Turkeys and all of the trimmings to local families in need through out Monmouth County and NJ this season. 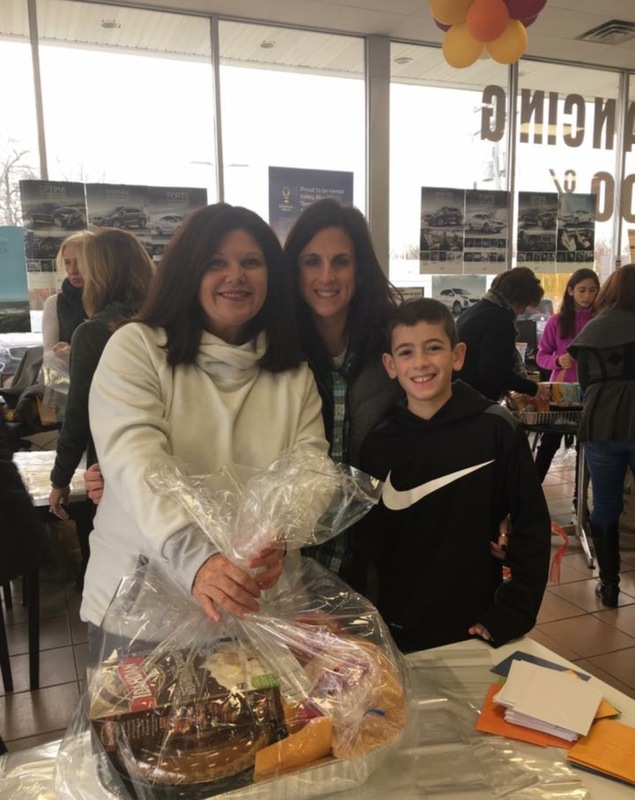 We couldn’t not do this with out your help and I can tell you that we have heard of many families who were deeply moved by The Basket Brigade’s generosity. We wanted to say a big thank you from Chris, Lori and myself to all of you. Below is a pic from this week’s Two River Times where they did a piece on our effort! There are lots of pics on my FB page if you want to check out the day if you were not there. Happy Holidays everyone! We are at 102 Baskets and counting. Thank you to everyone who donated money for baskets. You are amazing and none of this is possible without your donations. We are at 65 Baskets and counting. If you want to volunteer please sign up on the link below. All volunteers MUST sign up IN ADVANCE or volunteer opportunities are not guaranteed.